he SleepWeaver Advance is the original soft cloth CPAP mask designed to help people sleep and breathe in comfort. The SleepWeaver Advance is the first ever non-allergenic and breathable cloth CPAP mask. 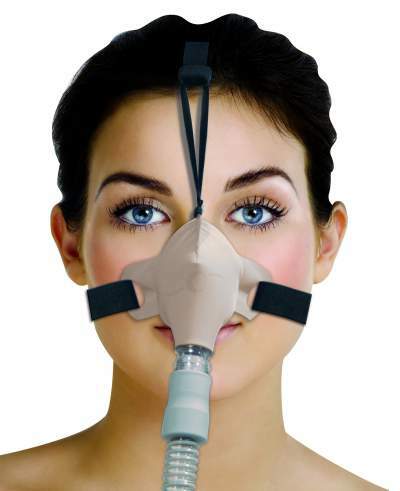 A new mask for smaller faces is also available - SleepWeaver Advance Small Soft Cloth CPAP Mask. 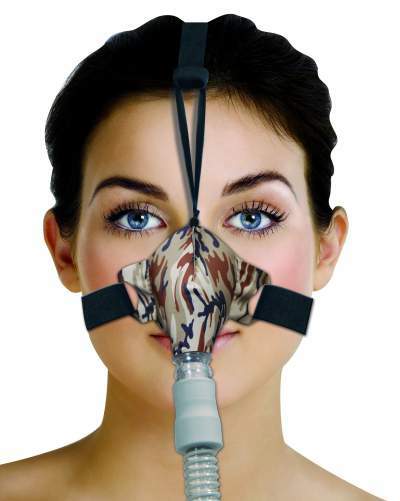 Find the SleepWeaver CPAP mask that is right for you. 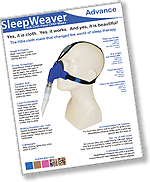 Most patients report that the SleepWeaver products are the most comfortable masks they have ever tried! However, it can sometimes take longer for some people to become accustomed to new equipment, especially if you are new to PAP and sleep therapy. 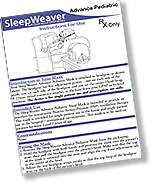 Follow the instructions (PDF guides) provided below and take a look at the instructional videos on this page to get the most out of your CPAP mask. SleepWeaver masks achieve a good seal and quiet operation using the properties of a balloon. When a balloon is inflated, all points inside the balloon are at the same pressure. This air pressure pushes the wall of the balloon until the tension in the wall of the balloon or something outside the balloon pushes back. The pressure inside of the mask is the same at all points. 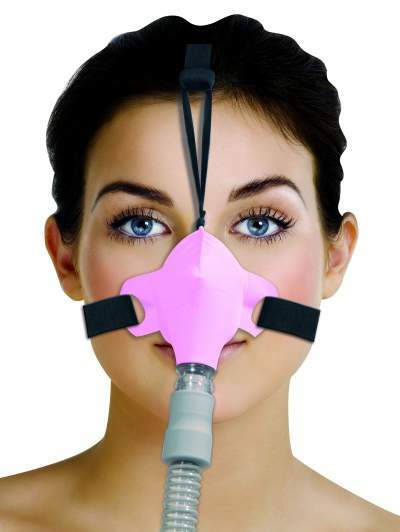 So the pressure being applied to the patient for their CPAP therapy is the same pressure that pushes the mask against the patient’s skin. This creates a good seal between the cloth of the mask and the skin of the patient. There is no additional pressure required to hold the mask onto the patient’s face, so there is no need for excess tension in the straps. The pressure exerted by the mask is the same at all points, so there are no localized pressure points that can create pressure sores. No marks left on bridge of nose, easy to sleep with and very comfortable fit. The SleepWeaver Advance CPAP soft cloth mask is the only mask I have found that is comfortable to wear and also performs very efficiently for my Sleep Apnea. My daily sleep report from my CPAP machine indicates the mask seal as "very good". This type of mask helps me get a good nights sleep. My only request is that if I could get the "mask only" when it's time for replacement instead of having to buy the whole package it would hopefully cost less to maintain my treatment for sleep apnea.